Designed to facilitate the enjoyment of life’s finer things, Bacchus is purpose-built for fun and adventure. Whether cruising the eastern seaboard, lounging on white sand beaches in the Bahamas, or mingling amidst the colorful culture of the Caribbean islands, Bacchus is fully equipped to enjoy every aspect of her beautiful surroundings. Journeys and cruising adventures planned to perfection. 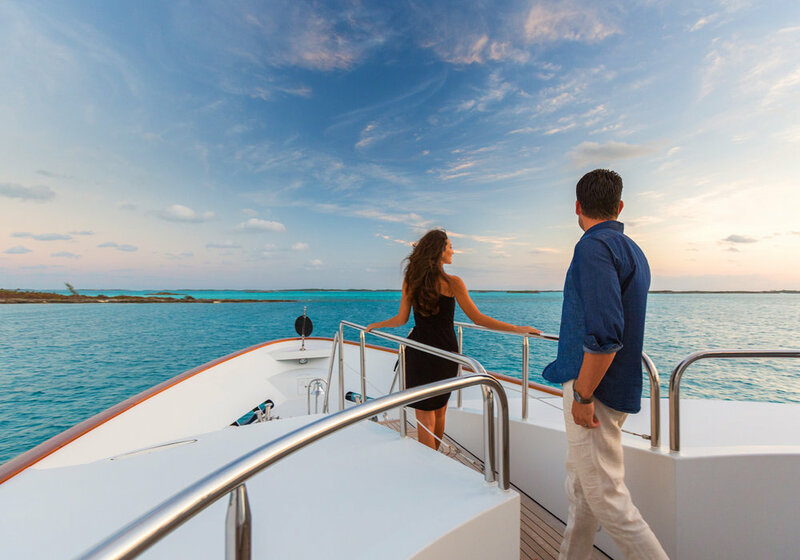 Your charter itinerary aboard Bacchus will be carefully outlined to your preference by your expert charter broker, while your captain will work with you to arrange the final details. Upon arrival, we invite you to relax, enjoy, and leave the details to your professional crew who pride themselves on exceeding expectations and delivering exceptional service. As the God of Wine would invite revelers to dance, Bacchus invites guests to let the celebration of life, love and family begin. They say the connoisseur does not drink wine, but tastes its secrets. Bacchus invites her guests to become connoisseurs of life: to imbibe revelry, to capture the essence of celebration and to be truly present in those magical moments. Come dine with us; come celebrate with us. Aboard Bacchus, your ultimate charter awaits. Bacchus... a true celebration of life. There is no greater fun on a yacht charter than taking advantage of the beautiful water that surrounds you on all sides. Slip and slide from the sun deck into the sea on the inflatable slide or set out to explore with the stand-up paddleboards, kayaks and waverunners. 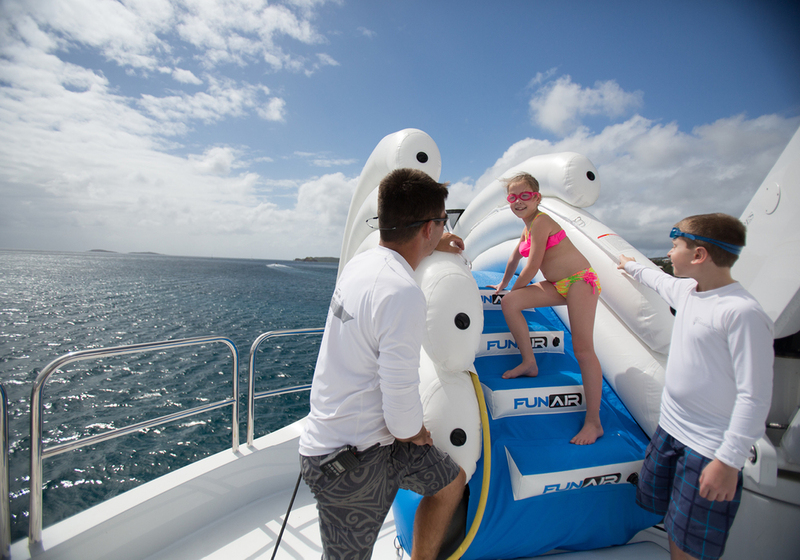 Bacchus provides a full complement of water toys including waterskis and inflatables, SeaBobs, snorkeling and fishing equipment. With all this plus rendezvous diving as another option, there is no excuse to not enjoy life above and under the water. DISCOVER HIDDEN ANCHORAGES, SLIDE INTO TURQUOISE WATERS, EXPLORE CHARMING SEAFRONT VILLAGES, DIVE AMONG COLORFUL REEFS, OR SIMPLY RELAX ABOARD BACCHUS WITH THOSE YOU LOVE.